Keira On The Roof‘s Pupi the Meerkat was spotted at Thailand Toy Expo and other conventions over the past few months and due to the amount made it has been near impossible to own one. Well for international collectors that is. From the artist who brought you the fantastic “USOTENGU” Keira On The Roof has created a new breed of Meerkats! Meet Pupi. 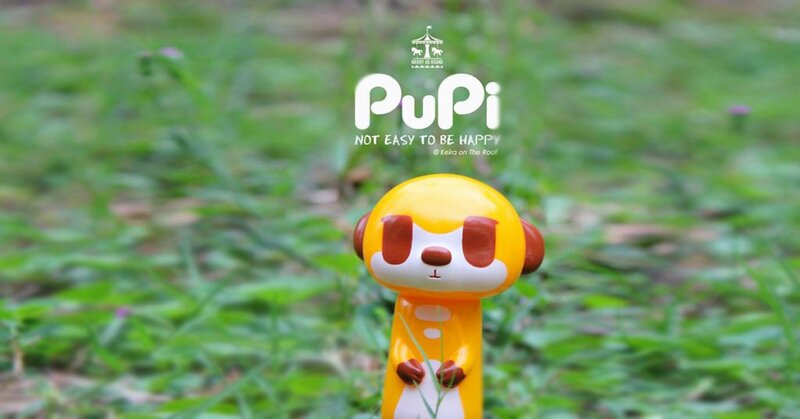 Powered by Merry Go Round toys, the second figure from Keira On The Roof and Merry Go Round, Pupi Meerkat that finds it is ‘Not easy to be happy.’ The figure stands approximately 3 inches tall and comes bagged with header card. Today we have found a retailer who has a hand full of Pupi’s, no lotto or forms to fill in just straight up online store. HA, take that flippers. Find Keria on Facebook and Instagram.